What We Do For Merchant Cash Advance Companies? What is really stopping you from consistently growing your Merchant Cash Advance Company? Merchant Cash Advance is a tough industry. It’s a super competitive landscape, and you must stay sharp all the time and be able to bring more deals in. As the President & CEO of Local Marketing Stars, the leading inbound lead generation company for Merchant Cash Advance industry in the United States, I’ve dealt with thousands of business owners within the past six years and I talk to hundreds of them every month. This gives me the opportunity to see the patterns as to what will work and help companies be super successful, and also predict what will fail. Over the years we have generated millions of dollars of commissions and revenue for our Merchant Cash Advance clients. There are five things that are stopping you from experiencing consistent growth for your company. People are talking about buying leads from certain places, doing more telemarketing, the direction of the industry, and all that stuff, while there’s an elephant in the room which no one’s really talking about. I’m going to talk about five steps you can do today to grow your business. If you start applying this information to your company, I guarantee it will take you from where you are right now and help you experience exponential growth in your Cash Advance business. Your website is not mobile optimized. If potential MCA leads were to check it on their phones, all the contents will be all over the place and they can’t really tell what your company does. Do not think that your website is only necessary for someone to find you online. 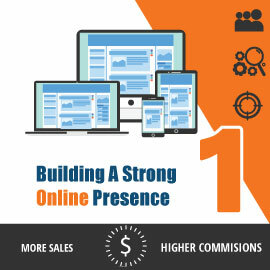 Your website also serves as the competitive advantage. When potential leads have to choose between your company and your competitor, they will go online and check your company for due diligence and compare it with a couple of the big guys. And guess what will happen? The big guys have more content. Their websites look really healthy, and they have a lot more references or testimonials, whereas yours might not even have any of that on your website. You might lose that deal because of that. Hence why the first step to success is to have a working website, which should be mobile optimized and needs to have certain features enabled in it. The features should allow you to track your visitors, collect enough data to understand where are they coming from, how much time they’re spending on the website or pages, at what point do you lose them, and do they check out the content that you have. How to Get Leads For Merchant Cash Advance? 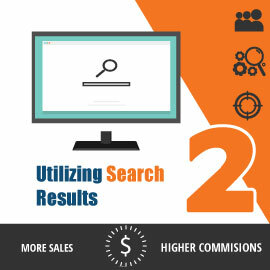 The second step is more direct, it’s your search results. If someone is looking for a working capital loan online, does your company come up on Google? if it doesn’t, you must ask why, because it means you have lose an opportunity to win leads over your competitors. Search engines such as Google, Yahoo, Bing, and all the other online directories are important to your business. You have to keep them happy too because if they do not understand what you do and whether you’re still around or not, they’re not gonna support your company. In the beginning of 2017, the search volume for any type of business loan was over 350,000 searches, and by the end of 2018, that number will probably go over half a million searches per month. So even if you can land on page 2 or 3 on the search engines for certain keywords, believe me, that will be enough to feed your company. You must have a real website, but do not put a full application on your website. You have to get smaller commitments from your customers so they feel cozy about you, then they can give you a bigger commitment. Start by getting an email address from them. Ask for their phone numbers or have them fill out a short form so they just get themselves qualified. Make sure you have a live chat option on your website, because someone is gonna have questions, and be the first person to answer those questions to get the biggest chance earning that customer. 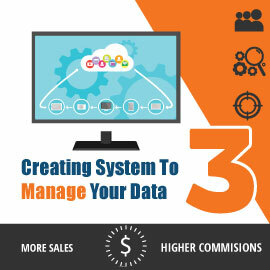 Creating Systems To Manage Your Incoming and Outgoing Data, Communication and Leads. Managing data is really important. Many of you are purchasing thousands of contacts, telemarketing lists and data, but you don’t have a system to manage those what you spent money for. You maybe have your team dial the numbers and they get either good, bad, or indifferent data and varying lead quality. But what happen after that? Does it just stay somewhere, no follow-up process for that data? You must have a hub for your data, be it in the form of a CRM system or a place where you hold the data, but you must create a follow-up system for all of your contacts. Because if someone is not ready to get a loan from you now, that doesn’t mean they will never be ready to get a loan from you. These data are gold mine, no matter how bad it is or how low-quality it is. Don’t forget that 3% of the market is always ready to buy something from you, whatever industry that you’re in. So it’s a matter of finding out what that 3% is. 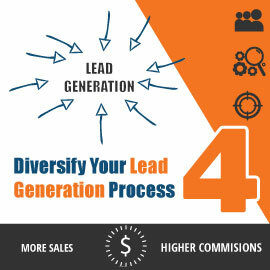 The next step is that you have to diversify your lead generation. You cannot only rely on your call center in the Philippines, or on your guys on the field. Growing your business really fast can be as dangerous as not growing enough. You must have multiple ways of lead generation feeding into your funnel. One could be SEO, the other could be social media channels, it could be paid advertising, it could be telemarketing. So once you sustained all of them, even if one of them fails or if your top salesperson quits on you and they take a bunch of team members with them, your company’s not going under. You have other sources at your disposal until you pick up where you left off, and you build another team. Also, different sources lead to different offers. If you’re selling Merchant Cash Advance, if you come across a new business that is six-seven months and they’re not a good fit for the loans you’re offering right now, why not offer them other services, from another partner who will be happy to give you the commission on that? The Importance of A Proven Sales Process for Scaling Your Merchant Cash Advance. 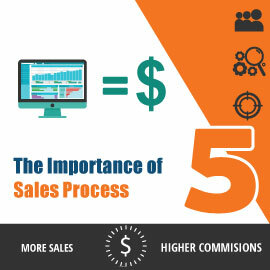 The last step is the sales process, which is vitally important. The industry that you’re in right now is highly sales oriented. To survive in the Merchant Cash Advance business, you must have hot leads coming in all the time and you have to have a full pipeline all the time to be able to operate and grow your company. And for that to happen, companies must have a system to build up what they can close tomorrow, while working on building future customers at the same time. Let’s not forget that you make your money on renewals and not so much on the initial funded deal, since most of those commissions go to marketing, your staff, your rent, and all the other overhead. But when they renew, that’s when you’re really making profits. You must have a system for them to renew; a system to build your referral partners; a system to build ISOs to sell on your behalf; you must also be attractive enough to make people come to you. In the sales process, sales automation is really important. I can’t tell you how many times I talk to companies and they think they have a sales process because they have a CRM system, their process exists on paper or on their system. But when it comes to the application of that through their salespeople, it’s not really working properly. So, I have a news for you. You don’t have to rely on your salesperson 100%. If you automate that process, if you have put the right structure in place, you can manage your salespeople really well without just buying to what they tell you. So that’s the last part. And if any of these information interest you and if you think your business is lacking in any of these moving parts, feel free to give us a call at (866) 669-7128, or click the button below and schedule an appointment with me. Then we can discuss where you are right now to see if we can help you out. We help Merchant Cash Advance companies grow their business by improving their sales process, online marketing, search engine optimization, and creating a customized inbound lead generations system right for their businesses.